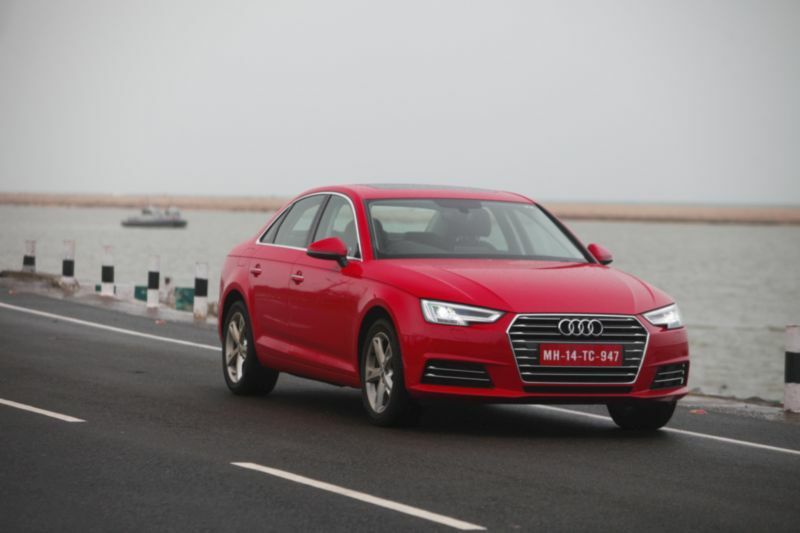 The all-new Audi A4 is set for launch in India in a couple of weeks and we’ve driven it. Here are four things you should know about the new B9-gen A4. 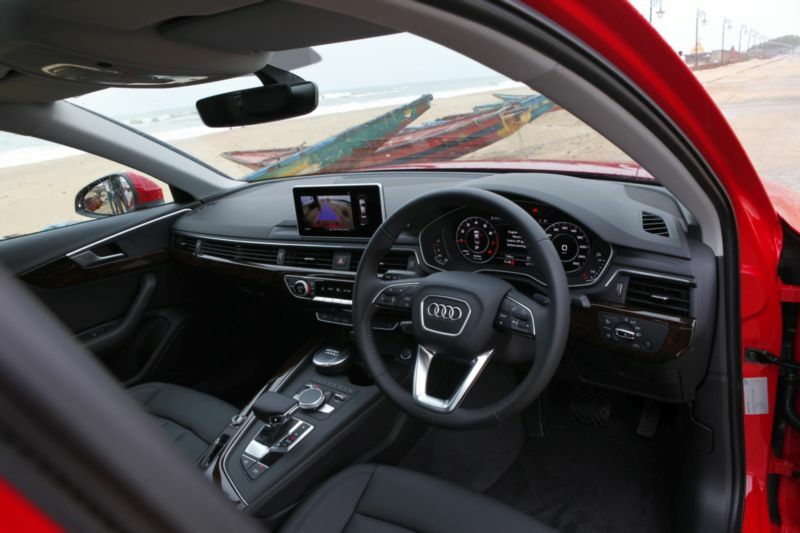 The new A4 is slightly larger, wider and more refined than the outgoing model. The twin-beam LED headlamps a look sharp, as does the sharper chrome grille. The sporty side profile is accentuated by the snazzy 17-inch wheels with 225/50 rubber. It’s about the same weight, too, and loads up on features and equipment on the inside. At the rear, you have LED tail-lamps and a ’30 TFSI’ badge. 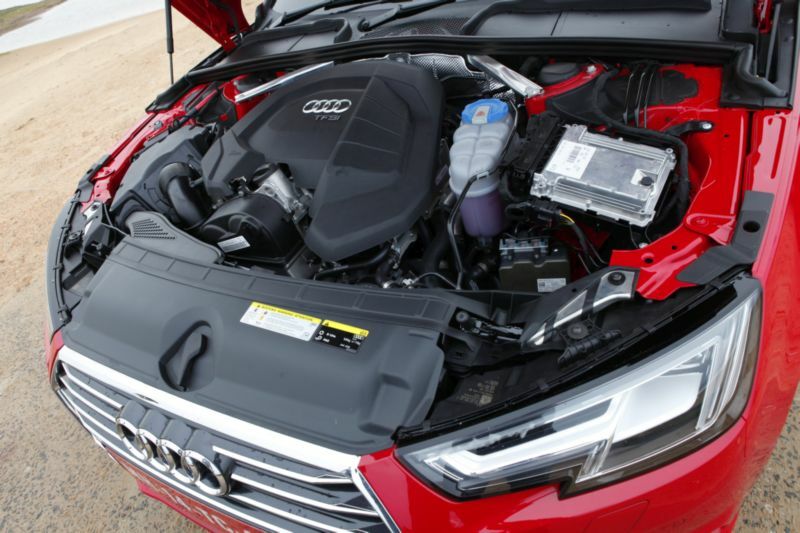 The new A4 is – initially, at least – being offered only with a petrol engine. And it’s a new 1.4-litre TFSI unit too. Displacing 1,395-cc, it delivers 150 PS and 250 Nm, more than enough grunt for a car that essentially weighs less than 1.5 tonnes. A new seven-speed S tronic twin-clutch automatic box replaces the Multitronic CVT unit and drives the front wheels with a seamless flow of power. It also incorporates a coasting mode where the drive is disengaged to save fuel when you lift your foot off the throttle. It works well, too! Inside, the A4 gets the Virtual Cockpit layout for the info console, similar to the ones seen in the TT and the R8. With the display switchable to current speed, vehicle info or navigation, it certainly is a big plus, right in the driver’s field of vision too. The centre stack is nicely finished and features another LCD display that also shows feed from the reverse parking camera. The seats are well-contoured and very comfortable. The rear also has good room and it seems to use its interior space better than its rivals. A 150-PS 1.4 TFSI may not sound like much considering the competition consists of 184-PS and higher offerings, but the refinement is not something all can match. The ride quality is excellent and the drive select modes allow further softening or stiffening of the suspension, with controlled changes to engine response and handling dynamics. Of course, this is just the start. Audi reckon the market will move from a 90:10 stand for diesel to a 70:30 scenario in favour of petrol in the near future. We hope to see a more powerful 252-PS 2.0-litre unit – what? 45 TFSI? – as well. 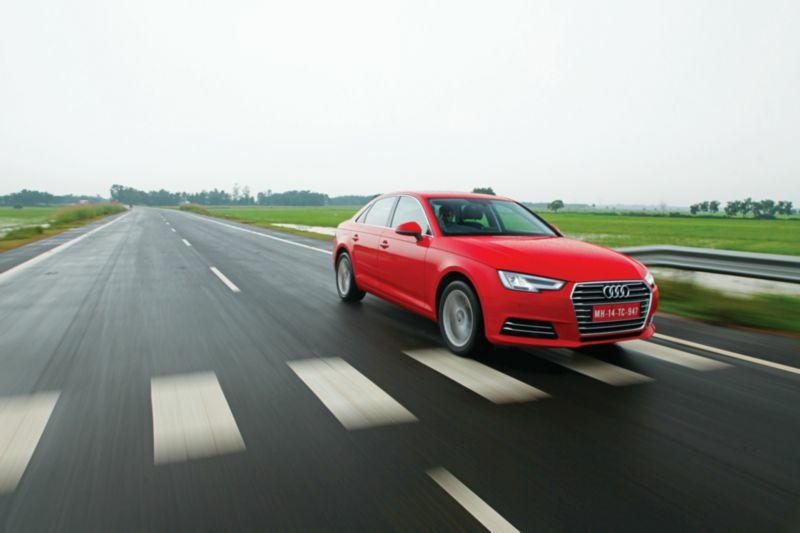 The new Audi A4 is scheduled for launch on 8 September. Watch for a more detailed road-test review.